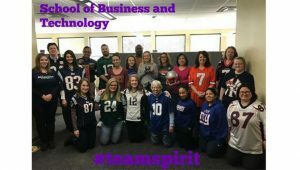 “Go team!” takes on a dual meaning the Friday before the Super Bowl, when employees of Excelsior College show their support for their favorite sports team and show their team spirit for each other and the College. 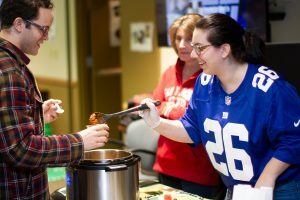 For the past three years, Excelsior College’s employee enrichment committees have organized the Tailgating for Taste Chili Cookoff during the lunch hours. Employees, either as a department team or as individuals, display their culinary skills by preparing chili for others to taste. 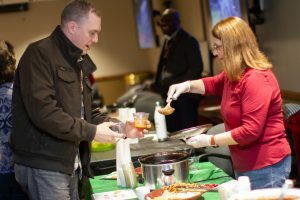 Employees sample the chilis and vote for winners in such categories as the best-tasting chili and the heathiest chili—sometimes they’re one in the same, sometimes not! There are bragging rights and a trophy, too. 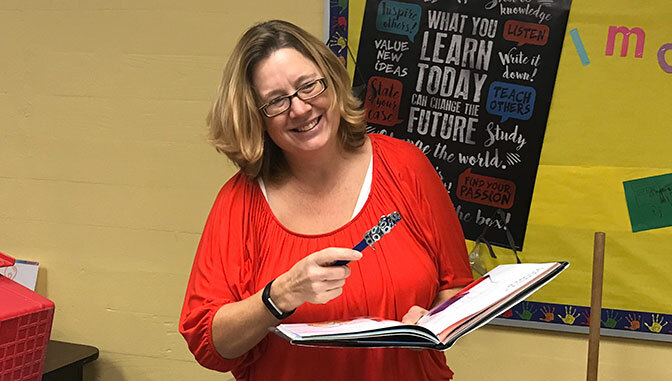 Excelsior, an online higher education institution that helps adult learners complete their degrees, encourages health, wellness, and team spirit among its employees. 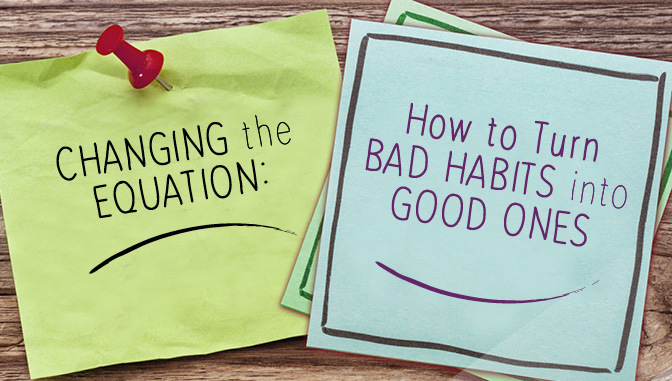 Events throughout the year bring employees together to learn, to celebrate, to meet, to collaborate, and to volunteer. 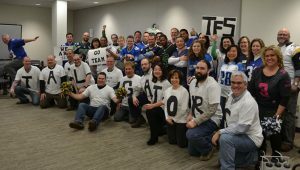 In addition to the cook-off, the pre-Super Bowl event has games, raffles prizes, and a “Team Spirit” award. 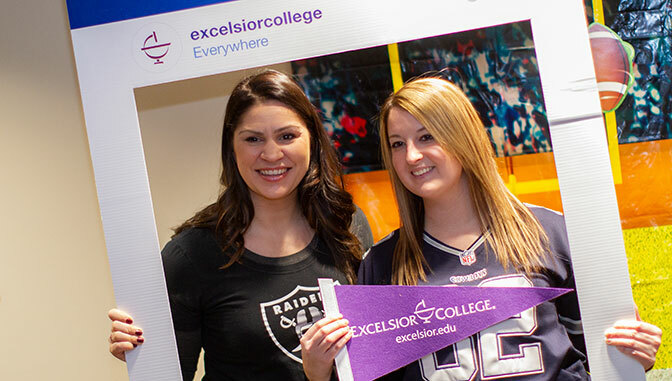 Departments are encouraged to get creative, cook something healthy, wear sports-themed attire, sports team colors, and display signage with Excelsior team spirit. The event consistently draws a good-size crowd. The Tailgating for Taste and other events, such as picnics and holiday parties, are important to the College since employees are in different buildings and don’t always meet others outside their units. Bringing employees together helps bridge distance and creates a culture that employees look forward to while taking a break with each other. For enrichment events, employees lead events, create themes, and enhance employee engagement via collaboration outside the units. 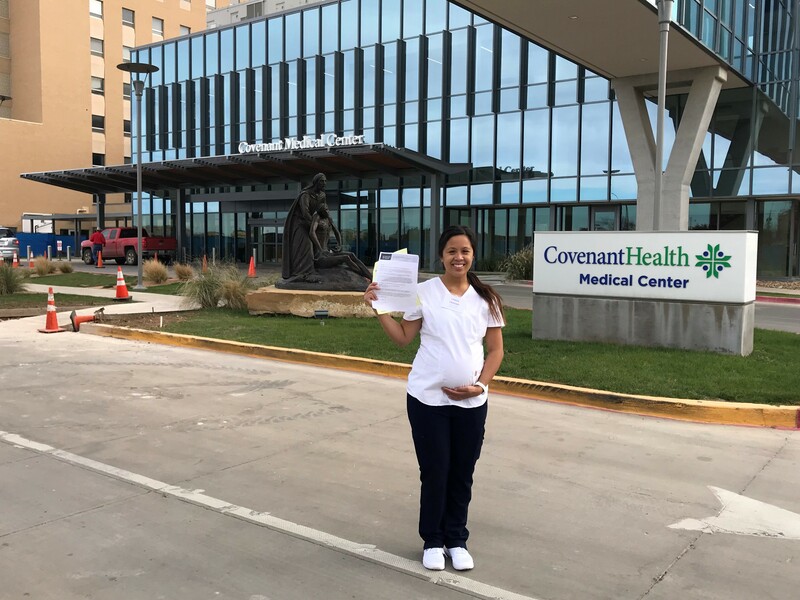 The College has been around for more than 45 years, and these events are a big win for employees. In the case of the Tailgating for Taste Chili Cook-off, it’s like a touchdown with a two-point conversion to break a tie!